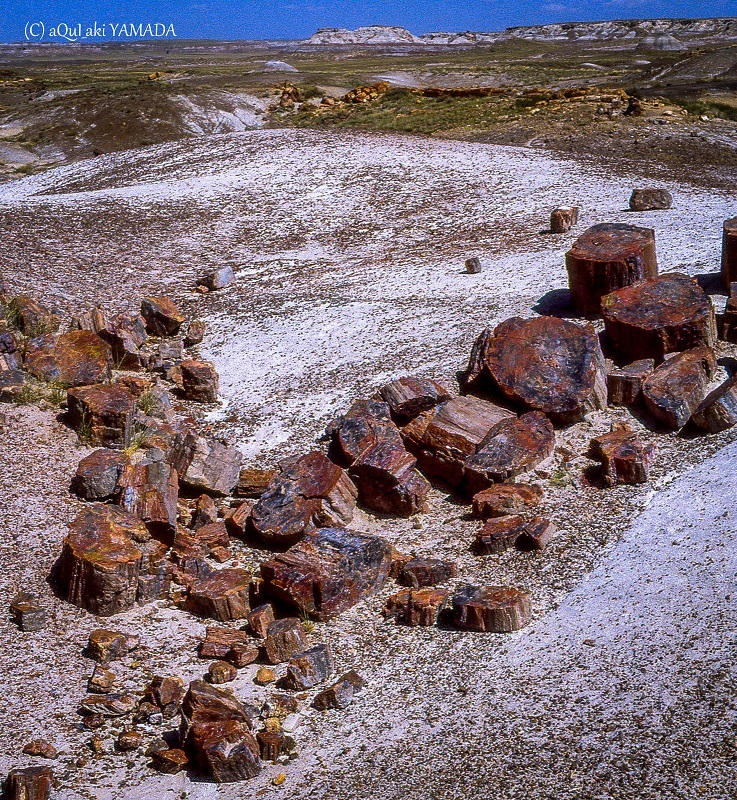 Petrified Forest National Park is an American national park in Navajo and Apache counties in northeastern Arizona. Named for its large deposits of petrified wood, the fee area of the park covers about 230 square miles (600 square kilometers), encompassing semi-desert shrub steppe as well as highly eroded and colorful badlands. The park's headquarters is about 26 miles (42 km) east of Holbrook along Interstate 40 (I-40), which parallels the BNSF Railway's Southern Transcon, the Puerco River, and historic U.S. Route 66, all crossing the park roughly east–west. The site, the northern part of which extends into the Painted Desert, was declared a national monument in 1906 and a national park in 1962. The park received 627,757 recreational visitors in 2017. Typical visitor activities include sightseeing, photography, hiking, and backpacking.